Astrology can tell you much about your personality and predict what will happen using that information. Aside from the future, your zodiac sign can be a guide to falling in love with the correct zodiac. You can use your Sun Sign or Star Sign, but for a better match, you should consider using Moon Sign. The Moon Sign affects your personality and needs more than the Star sign, and can be more accurate in predicting if you are falling in love with a more promising match. In many cultures, date and time of birth are as important as place of birth to determine the perfect love match. Do bear in mind that horoscopes are a guide to show how easy or hard a relationship might be, it does not mean that you should give up the fight. This is a guide only, it does not represent anyone fully, as we are unique in every way. If you really believe that you are meant to be together, then you should fight for it, no matter how hard it is. Get your soul mate sign. True love is worth fighting for, and you will make it work if you both face challenges as a couple. Of course, knowing your potential partner is half the battle. Understanding each other makes it easier to move forward in a partnership smoothly. 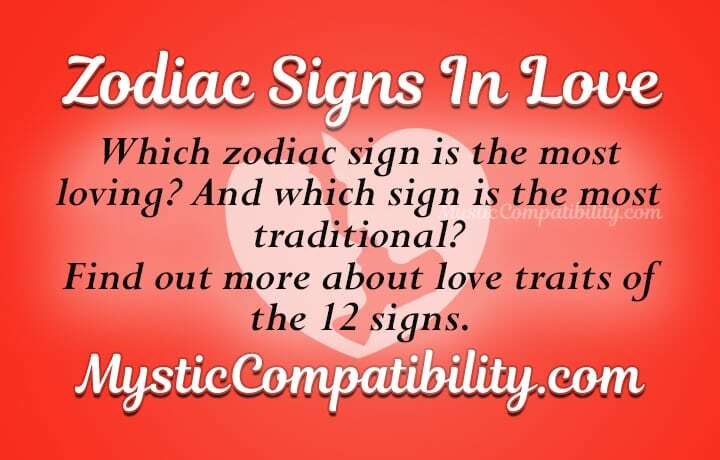 Let us find out more about love traits by zodiac sign. Aries, you are always searching for that special someone, but you feel emotions strongly and will believe that every love story is worth fighting for. You love a good challenge. So you need someone who can take your constant energy and need to tackle challenges. Aries in love you may not hold a grudge, but your temper may hurt a emotionally sensitive person. Romantic and affectionate, you are not shy to show affection anywhere and anytime. Your partner has to be ready to argue about nothing, and keen to go on adventures and try new things. As a dominant zodiac sign, Aries you are a natural alpha, but will have to learn how to accept authority sometimes, although you are always itching for a good fight. Aries you are most likely to get along with Leo or Sagittarius because they share your need to be free, and your passion for independence. Other star signs that can take your wild life include Aquarius and Gemini, who can handle your outbursts of temper. The sign that will have most trouble with you will be Cancer. Cancer needs to nurture and mother, which you find stifling and restrictive. Capricorn and Virgo also will present a challenge because your desires are different. Taurus, you are a possessive sign that values tradition. You dislike change so you aim to find a partner who is looking for commitment. Your devotion to your partners can make you jealous and any insecurities will cause trouble. You are also laid-back to the point of laziness, which may grate on certain zodiac signs, so you might have to learn how to be more proactive. Reliable and patient, Taurus you will put a lot of effort at home or at work. Because you are uncomfortable with change, you take it slow. Your stubbornness may cause problems, you will have to learn how to deal with change. Your partner has to accept the fact that you can be uncompromising at times. Best compatible signs for you are Virgo and Capricorn, both signs are naturally materialistic. Capricorn is also slow to accept change, and also values material asset highly. Pisces and Cancer may be good partners for you, because they are sensitive to emotion and understand your needs better. Taurus you might feel threatened by Aquarius’ need to experience new things, and will not get along well. Other sun signs that you might struggle with are Leo and Sagittarius, because they are also adventurous astrology Signs. Gemini, you have a quick wit and a sense of humor, you want to know everything that is happening around the world. A great conversationalist, you love to be sociable and communicating with friends. You hide your emotions well, often side skip the issues unless you trust someone enough to show the moody side. Your intelligence makes you favor logic over emotions, you tend to rationalize problems. You have trouble making decisions, your mind is so busy causing you to be indecisive. You can change your mind lots of time, and being unpredictable is a problem to some. You love change and adventures, routine makes you bored, so you constantly look for new things to try. 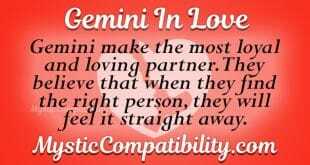 Gemini in love have to look for someone who likes adventures like they do, and will not mind their gossipy ways. Best love compatibility for you are Aquarius and Libra, because they are rational and sociable like you. Gemini you will get along well with Aries and Leo, your will harmonize well with your need for change and new adventures. Pisces, Scorpio and Capricorn are signs that are least compatible because they are more in tune with their emotions than Gemini you are comfortable with. Romantic and sensitive, Cancer you commit to things and relationship readily. You put your partner and family first, and will go great lengths to make them happy. You are intuitive, which helps you understand other people’s emotions and help them better. Cancer you are sentimental, clinging onto the past and a little resistant to change. Cancer you have a suspicious nature because of your imagination. Being in tune with your emotions can make you manipulative. Prone to mood swings, people around you may struggle handling your intense emotions. Those who can accept you are ones who understand your desires. Best relationship compatibility for you is with Pisces and Scorpio, as they will understand the emotions that are running through your head. 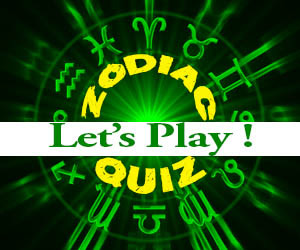 You will also get along well with zodiac signs Taurus and Virgo for the same needs and desires in a relationship. Aries, Sagittarius and Aquarius are the most challenging signs for you. You have different outlooks in life and will struggle to get along. Like loyalty, Leo, you are an alpha. You want to be put on a pedestal, and be worshiped like a god. You like to have a good time and to be the center of attention of a party. Generous to those around you, Leo you can bring people together effortlessly. Your sense of humor helps make people feel at ease. A natural leader, you draw people to you. To some people, your need for affection come off as arrogance. Leo the King can sometimes leave messes for others to pick up after. You appear selfish and lazy to those who are looking for an equal partner. Leo you have no problems being a loyal person in a relationship, but you will only commit when it is The One. Sagittarius and Aries are most compatible star signs for Leo, because they share the same outlook in life and not afraid to level the playing field with you. Gemini and Libra offer a balanced relationship with rationality, a way to balance out your dramas. The signs that are least compatible with Leo you are Taurus, Scorpio and and Pisces, who has different desires in life. The Virgin you are a perfectionist, you are always critical about everything, especially yourself. You are careful about everything, and you prefer to find a practical solution to every problem. You are a caring and nurturing person when it comes to family and partners, but you cannot help but to criticize when problems arise. Despite your sign, Virgo you are not sexually inadequate, but quite the contrary. Virgo in love are analysts. They can over-worry themselves with many possibilities. Naturally shy, Virgo you are happier in the background than being in the front end. You are commonly misunderstood, because your shyness makes you appear cold and aloof. But once people get to know you, your loyalty and honesty will endear them to you. Best zodiac compatibility for you is with Taurus and Capricorn, for the three of you are cautious and prefer privacy and quietness. Cancer and Scorpio get along well with you because you harmonize with each other. Sagittarius, Aquarius and Aries are not as compatible with you because these signs are very different from you, and you will struggle to get along. The Scale you feel the need to balance everything in your life, you are looking for a partner in life, someone who can share responsibilities. You cannot handle being alone due to your star sign, Libra you like to talk things over with people. While you do not fear confrontations, you work hard to avoid it via communication or side stepping things. You value harmony in relationships or friendships the most. You cannot tolerate unfairness or injustices, and will work hard to bring equality in a situation. Libra you have great passion and you can be romantic when you want to be, but you demand a partner to contribute like you do in a relationship. Libra you also like attractive people, because you like to put the best foot forward. Hence the first thing you look for is looks and presentation. Find your Venus love sign. Libra shares good love compatibility with Gemini and Aquarius, because you are all objective and like to socialize. Leo and Sagittarius can harmonize with Libra to create a healthy relationship. Least compatible signs with you Libra are Pisces, Capricorn and Cancer, which tend to tilt the balance and make you uncomfortable. Scorpio, you are a sexual personality, but you will sting when you are threatened. You burn with passion when you are in love. Scorpio you experience intense emotions, even though you only show it in private. Your jealousy and trust issues requires a sign that is honest in a relationship for it to last. Get your passion sign reading. You are determined and decisive, you are a natural leader, even if you are a shy person. You have a presence that draws attention despite your reluctance. Your dedication in a relationship or work shows that you have no commitment issues. Scorpio you will take revenge when hurt or betrayed in love, so your partner has to beware of that part of you. Best romantic compatibility for you is with Pisces and Cancer, both have high intuition in the emotional department and will understand your inner needs. Both zodiac signs are more passive and suitable to your assertiveness. Virgo and Capricorn are signs that can harmonize with you, because of their dedication. Signs that are least compatible with you are Leo, Aquarius and Gemini because they are either too dominant or unable to commit to a partnership. Sagittarius sexually find intelligent people attractive. You are naturally curious, and you like to try to figure things out. Your optimism and enthusiasm to experience new adventures can be contagious to those who share your interest. Sagittarius you need freedom and space in a relationship. Sagittarius relationships can be blunt and tactless. You are not sensitive to emotions. Your honesty can grate if you do not edit your words. You are also impatient, because you are always on the go. You rationalize and idealize, your optimism can cause you to make promises that you might be unable to keep. Horoscope signs that are compatible with you are Aries and Leo, because both signs need to be free and have new adventures. Libra and Aquarius have the ability to anchor you when you try to fly too far away, a balance to your overly enthusiastic side. Virgo, Taurus and Cancer are least compatible signs because your needs are different and will cause friction. Capricorn, you are looking for someone who you can take care of. The traditionalist in you is resistant to change, so you are slow at getting involved in relationships. You are a loyal partner, once you choose to commit, it will be for a long time. You put family first, and you work hard to provide material security, because that is what you value most. You are practical and disciplined, believing in hard work will yield positive results. You are also pig headed, and have hard time accepting change and new methods. Capricorn you do not like games, always a serious Star Sign. Capricorn compatibility shows you need someone who can teach you how to relax and look at the lighter side of things. Star Signs that are compatible with you are Taurus and Virgo, because you are more family orientated and serious signs. Scorpio and Pisces will understand your emotions well, and are happy with your reluctance to change. Aries, Libra and Gemini will not be compatible with you, mainly because they will try to induce change, which will make you feel uncomfortable. Aquarius you are a sapiosexual, because you love mental stimulation and will require someone who can match your endless thoughts. Generous and humanitarian, your kindness endears you to many, but your have limits. Aquarius in love will need to have freedom. So you may appear distant sometimes. You are a friendly person, there is no shortage of friends. You need space in a relationship, as you will feel restricted if there is none. Your busy mind will make you creative, but can be also unpredictable as you change your mind frequently. You can adapt to things easily, as a progressive person you welcome change. Aquarius you are compatible with Gemini and Libra, because freedom and equality ranks highly on your list of requirements. You will get along well with Sagittarius and Aries because you value freedom. Taurus, Scorpio and Cancer are not compatible with you as they are more resistant to change. The dual nature of the double fish makes the Pisces in love hard to catch. You like to flirt and fall in love, but committing in a long term relationship and staying in love is more difficult. Creative and artistic, you thoughts about a good relationship is romantic but idealistic. You have a lot of friends, because you dislike being alone. You are quite selfless and compassionate, you are empathetic and emotionally intuitive. Pisces you can understand people’s feelings and act accordingly. Those who can support your needs will need to know your desires and needs as a person. Pisces you tend to be dreamy, preferring to avoid reality. Most love compatibility will be with Taurus and Cancer, as they run on emotions and are romantics and heart. Capricorn and Scorpio will get along well with you, if you are truly looking for a long term relationship. Gemini, Leo and Libra are least compatible signs as you do not see eye to eye on many levels, there is little in common between you.